Happy Friday after Thanksgiving! I hope everyone had a great Turkey Day and ate a ton of good food. Today I bring to you a French manicure. I have NEVER had nails long enough to do one so if I ever had white tips it was because I just got my pink and white fill at the salon. Now that I have longer nails, I can experiment more. My friend Nicole gave me quite a challenge. 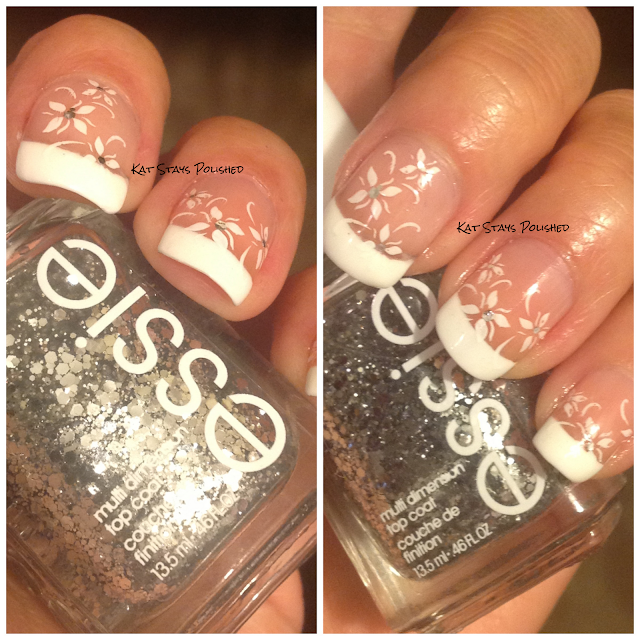 She asked me to do a French mani with stamping over it to make the stamped image look like it was coming out of the tip. Does that make sense? When you see the pics, it will. As soon as I pictured this in my head, I rummaged through all of my stamping plates. 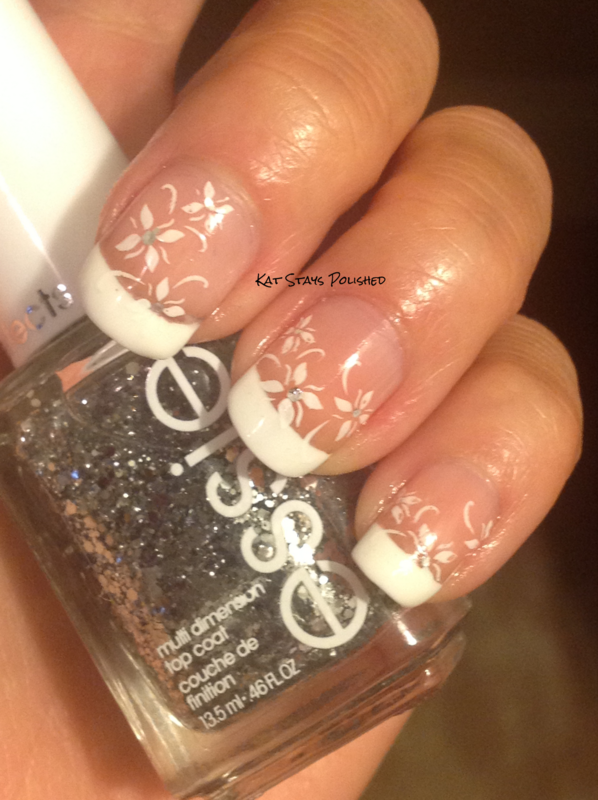 I found the perfect flower image that would turn this plain French mani into a gorgeous and classy French mani. Let's look at some pics, shall we? Where did you get the French manicure strips you used? I haven't been able to find them anywhere.